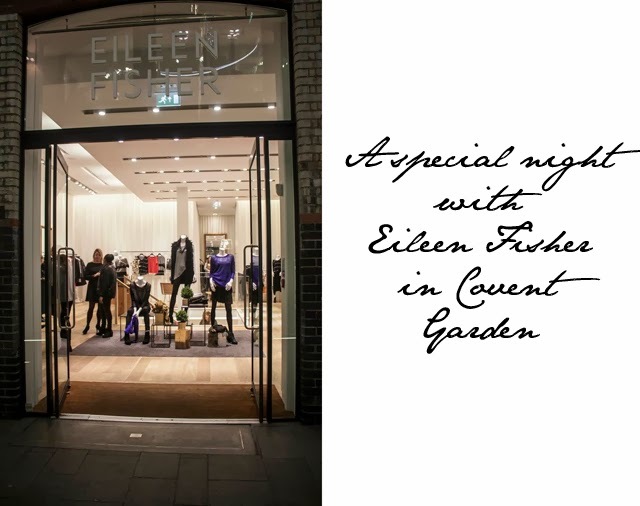 Last week, Eileen Fisher celebrated their two year anniversary in London. 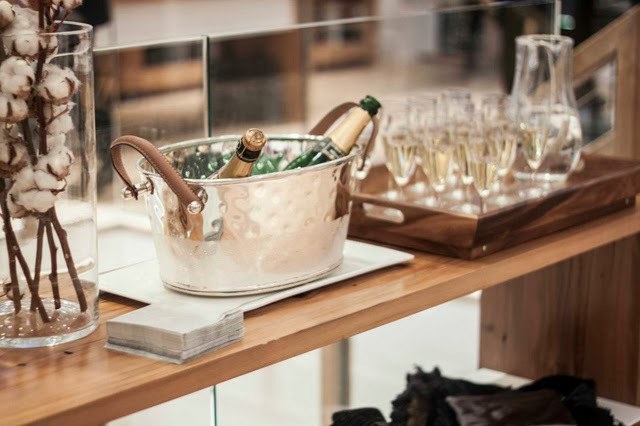 On the day, all three UK stores celebrated by offering a special discount, as well as champagne, nibbles and a special catwalk presentation hosted by yours truly (in Covent Garden). It was quite an honour to work with a brand that I have known for sometime now. This is yet another discovery that I owe to my stylish mother, who has been a big supporter of the Eileen Fisher brand for years. I used to steal Eileen Fisher sweaters out of her closet. 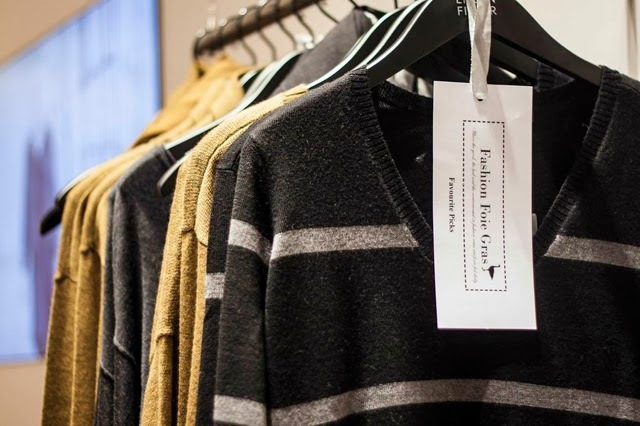 A few years ago, I noticed that the styles Eileen Fisher had been doing for years were being copied by some of the leading edgy contemporary designers and I had a plethora of options sitting right there in good ole mom's closet. From that point on, I was hooked. I'm more or less going to make it my goal that every one of you step into an Eileen Fisher store to try out the brand. This is truly an education in fashion and fit. 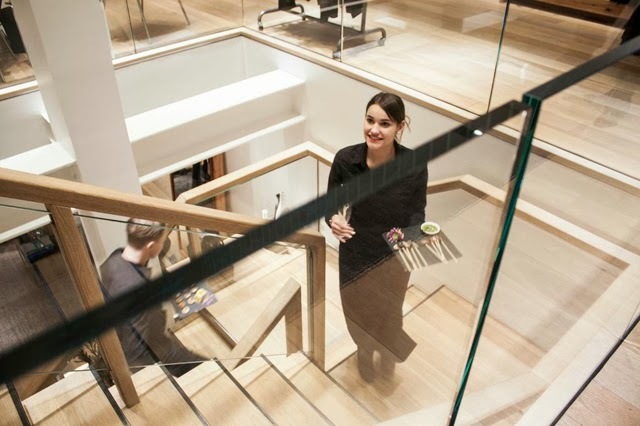 Eileen Fisher understands not only a woman's day to day needs for her wardrobe, she also understands that dressing every day shouldn't be a challenge. At the core of the collection is something known as "the system." These are the basics, the foundation of any outfit. You buy what works with the foundation and then you build your wardrobe, over time, with each passing system. Never have I seen a die hard Eileen Fisher fan ever step out looking anything less than enviable. There is a casual grace to the garments, and when layered together, there is an air of confidence that is achieved with their clothing. Now, I'll admit up front that this is not a store that is inexpensive. 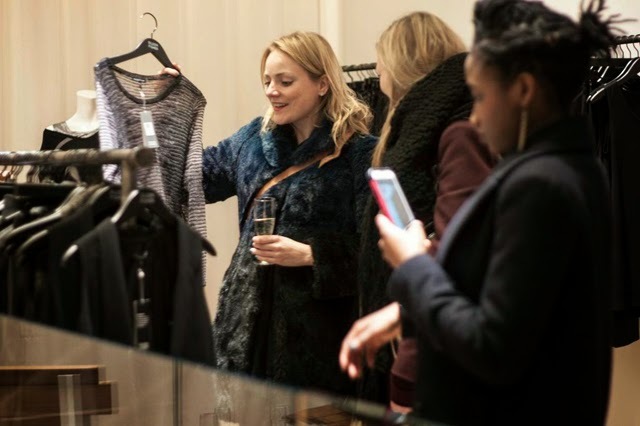 However, there is a reason behind the price tag you'll find on the garments. These are pieces that truly are timeless. I'm not just talking about the quality, and that I'll vouch for personally as even as I sit here writing, I'm wearing an Eileen Fisher sweater that must be at least 15 years old. When it comes to being timeless, I also mean the look itself has no date and every season offers pieces that slot into your current collection perfectly. Here's a little teaser of the looks that were presented on the night, with the collection in store now. May I suggest you pop into store this weekend while you are out and about shopping? I'm challenging you to try and not love what you find. Be curious, take risks and have fun with what may be an unknown for you. Watch this space, as we're not done with this brand yet... remember... every one of you in store!